The failure to acknowledge India’s growth story for the fear of who will walk away with the credit is a grave injustice to the 1.33 crore-plus people of this country. It also prepares the path for economic harm rather than further good health. India this year is set to break into the league of the world’s top five economies. But that’s a story being hidden by mentioning India only as Asia’s third largest economy – tailing behind China and Japan. 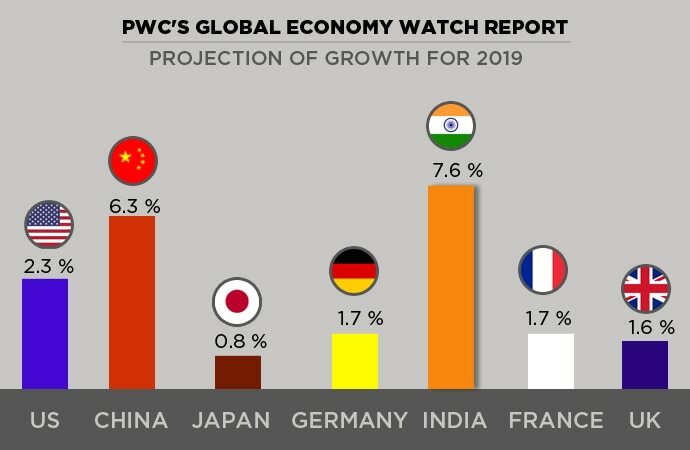 According to a report by global consultancy firm PricewaterhouseCoopers (PwC), India is likely to dislodge the United Kingdom, taking the fifth spot in the world's largest economy rankings in 2019. The US is likely to stay at the No. 1 spot, followed by China, Japan, Germany – and then India. There is more good news. While the UK and France have regularly switched places due to almost similar levels of development and more or less equal populations, India’s rise in the rankings is likely to be permanent. “India is the fastest growing large economy in the world, with an enormous population, favourable demographics and high catch-up potential due to low initial GDP per head. India is therefore all but certain to continue to rise in the global GDP league table in the coming decades as projected in our latest World in 2050 report,” the PwC report says. And it is not just PwC saying it. According to World Bank data, India became the world's sixth largest economy in 2017, surpassing France, and was likely to go past the UK which stood at the fifth position. All this while global media underplayed India’s rise by failing to mention – loud and clear enough – that the country of a 1.3 billion people was rising up the ladder in the global economic scenario. 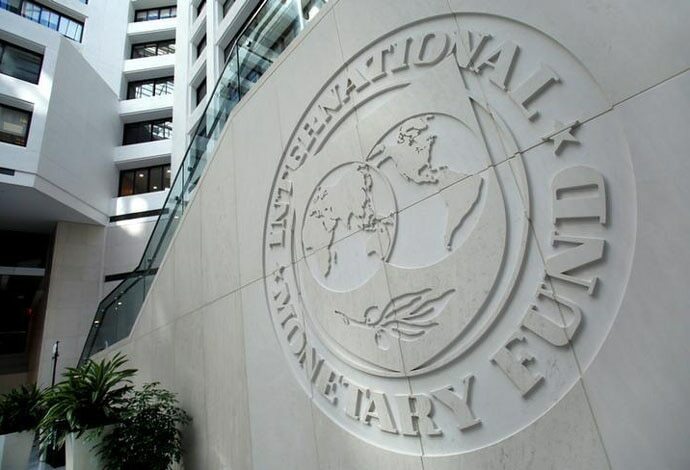 The International Monetary Fund (IMF), meanwhile, has said that owing to lower oil prices and a slower pace of monetary tightening, India is projected to grow at 7.5 percent in 2019 and 7.7 percent in 2020 – that's an impressive over one percentage point ahead of China's estimated growth of 6.2 percent in these two years. The IMF in its January World Economic Outlook update said India would remain the fastest growing major economies of the world. Despite fiscal stimulus that offsets some of the impact of higher US tariffs, China's economy will slow down due to the combined influence of financial regulatory tightening and trade tensions with the US, the IMF said in its latest report. 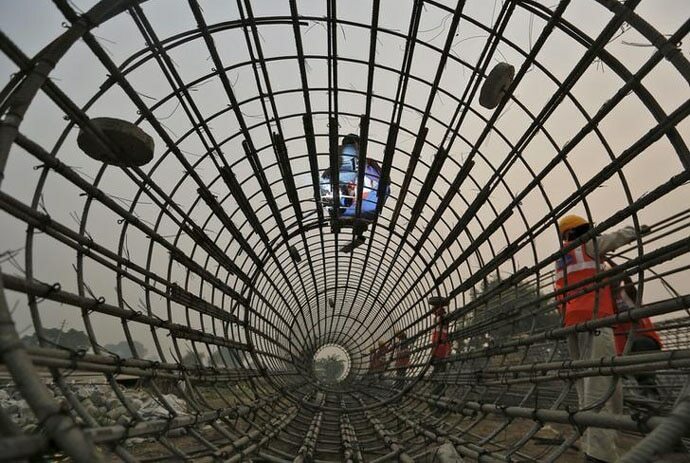 While, the Chinese growth rate has been on a downward slope, according to the IMF, India has experienced an upward trajectory during these years. “Above all, the most invincible shield India has against a financial crisis is economic growth that has been rising consistently over the past four quarters and stands at 8.2 per cent, a figure no analyst or institution, Indian or international, expected. This growth, and the resultant higher taxes, will more than make up for financial vulnerabilities,” Chikermane added. Chikermane goes on to write that the real risk to Indian economy is the distribution of freebies. Given that we are in an election year with Budget session round the corner, we are likely to see only more such freebies. But calls for freebies get shriller when the spectre of a doomsday is raised that not just plays down the growth story but also goes ahead to negate it completely. India’s growth story is a real one – and it needs acknowledgement. The failure to do so for the fear of who will walk away with the credit is an injustice to the 1.33 crore-plus people of this country. The telling of this story is important because it drives investments and boosts investor sentiments. So, there is every reason to reiterate that India is well on its way to take over as the world’s fifth largest economy, dislodging France and Britain from the spot.